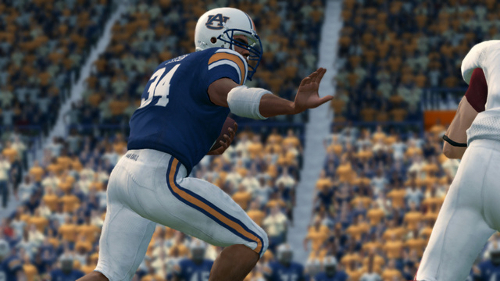 It has been nearly six years since the release of NCAA Football 14. That game was the last of its kind – a college sports video game featuring all of the necessary licensed properties along with fully editable and shareable rosters. All these years later and there remains no imminent return of a college football game from EA Sports or any other publisher/developer. The Ed O’Bannon case ended in favor of active and retired athletes but with nothing resolved on the front of being able to compensate current and future student-athletes. Until that time comes there is virtually no chance that a legitimate game featuring licensed schools and/or real players will go into development. The Kessler v. NCAA case that goes to trial in December looked to be the next best hope until a new development occurred this week. The ‘Student-Athlete Equity Act’ is being introduced to congress today and just so happens to coincide with the start of March Madness. The bill would allow for athletes to pursue deals with outside parties rather than being compensated by the university beyond their scholarship. The most prominent ways in which to profit off name and likeness is from signing commercial and merchandising deals – or of course agreeing to appear in a potential high-profile video game. The prospects for the bill are unclear at this time and it could change in shape and form through negotiations and the committee process before any vote would actually take place. The majority of bills die before ever even getting that far, so it’s important to keep perspective and recognize that this remains yet another long shot on the road to the return of college sports video games.